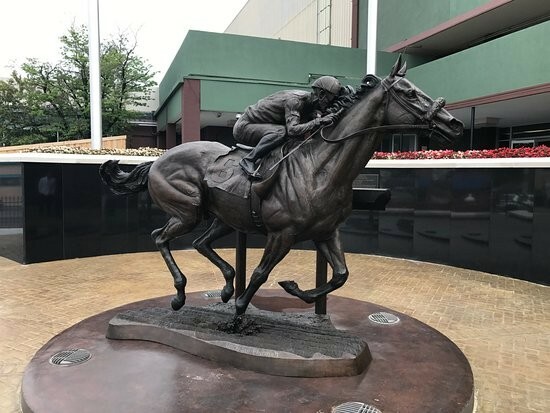 According to octogenarian co-owner, Richard Treweeke, the name Winx is derived from that of her dam, Vegas Showgirl, based on the idea that if you appreciate the statuesque feminine beauty of a Sin City showgirl you wink and, as Treweeke put it, “if she likes you she winks back”. Whatever its derivation, the name is certainly unusual, befitting a racemare of extraordinary ability. Trained by Chris Waller in Sydney, Australia, at the time of writing, Winx has won 29 consecutive races – including a world-record 22 at Group 1 level – culminating in an unprecedented fourth consecutive win in the most prestigious weight-for-age race in the country, the Cox Plate, in October, 2018. 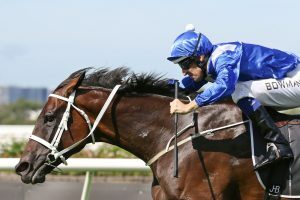 Since her winning streak began, in the Sunshine Coast Guineas on May 16, 2015, Winx has started favourite on all 28 subsequent starts and has been odds-on, often as short as 1/10 or 1/11, for the last 24 wins in the sequence. Unsurprisingly, Winx was named Champion Racehorse of the Year three years running, in 2015/16, 2016/17, 2017/18 and, in 2017, became just the third horse – after Sunline and Black Caviar – to be inducted into the Australian Hall of Fame while still in training. Indeed, in April, 2018, Winx won the Queen Elizabeth Stakes at Randwick to equal the record of 25 consecutive wins set by Black Caviar, but has since added four more victories at the highest level to her winning tally. Her additional successes came in the Winx Stakes over 7 furlongs and the Colgate Optic White Stakes over a mile, both at Randwick, the Tap Turnbull Stakes over a mile and a quarter at Flemington and the aforementioned Cox Plate, over the same distance at Moonee Valley. According to Longines World’s Best Racehorse Rankings, Winx is currently the highest rated horse in the world, ahead of Pegasus World winner Gun Runner and King George VI and Queen Elizabeth Stakes winner Poet’s Word. 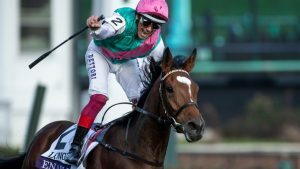 According to Timeform Global Rankings, the superstar mare was rated equal fourth, alongside Prix de l’Arc de Triomphe winner Enable, in 2017 and, in the latest revision, published in July, 2018, was rated equal third, alongside Enable and Gun Runner. 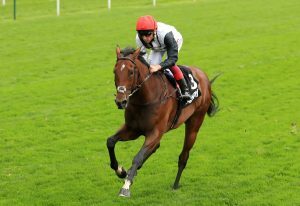 Cracksman is a retired thoroughbred racehorse, owned by Anthony Oppenheimer, bred at his Hascombe and Valiant Stud in Newmarket and trained, throughout his racing career, by John Gosden at Clarehaven Stables, also in Newmarket. Sired by Frankel – the highest-rated horse in the history of Timeform and World Thoroughbred Rankings – out of a Pivotal mare, Cracksman won eight of his 11 starts, including four at the highest level, and £2.79 million in win and place prize money. 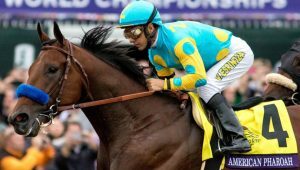 In fact, he emulated his sire by winning the Champion Stakes on British Champions’ Day at Ascot, not once, but twice. 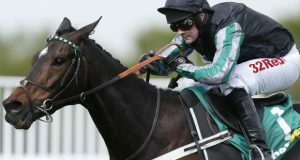 In 2017, as a three-year-old, he stayed on strongly to win the finale of the Middle Distance category of the British Champions Series by an impressive 7 lengths from Poet’s Word, trained by Sir Michael Stoute and, in 2018, produced an almost identical performance to rout Crystal Ocean, also trained by Stoute, by 6 lengths, with jockey Frankie Dettori waving his whip in celebration in the last half a furlong or so. His latter victory in the £1.3 million showpiece also sealed a third trainers’ championship for John Gosden, despite more than two months of the season remaining. Dettori rode Cracksman nine times in total and was beaten on him just twice, once in the Derby, for which he started favourite and finished third, beaten three-quarters of a length and a neck, and once in the Prince of Wales’s Stakes at Royal Ascot, in which he was never travelling and was eased down to finish second, beaten 2¼ lengths, behind his old rival Poet’s Word. The latter contest was run on good to firm going, which Cracksman did not appreciate, and in warm, humid conditions, which may have been why he sweated up badly in the preliminaries. There was also a suggestion from John Gosden that his fractious, fidgety behaviour was due to the proximity of the fillies returning from the preceding Duke of Cambridge Stakes. In any event, on that occasion Dettori described Cracksman as uncharacteristically “lethargic”, “one paced” and “lazy”.